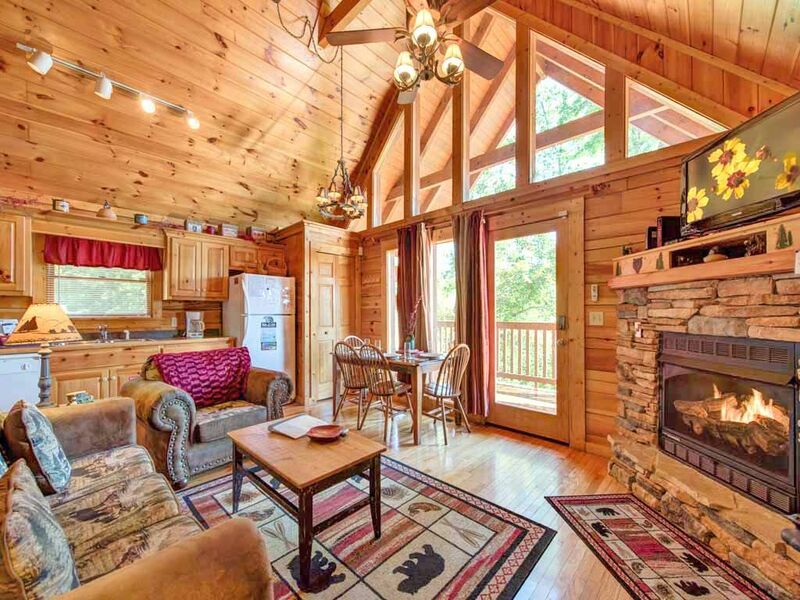 The best part of this cabin is that you have a decent view in the mountains, but you’re not far from the main strip in Gatlinburg. It was the perfect place for our family of 4. My family came here for a weekend getaway and we were in love with this cozy, little cabin. Plenty of room and close to all the fun things this area had to offer. Thanks for sharing your beautiful home with us!!! The cabin was perfect for us! It's very nice and clean! The kids enjoyed playing and sleeping in the game room! And we are right by downtown!!!! We Will be coming back!!! The cabin was perfect for our group. Plenty of space. We had 3 adults and a baby. Would definitely . The cabin was perfect for our group. We had 3 adults and a baby. Beds were comfortable. Beautiful view of the smokies. We had everything we needed. Great location. Close to the Great Smokey Mountians and downtown Gatlinburg. Very clean and cozy. Didn't hear a peep from the neighbors. View from the cabin was awesome!